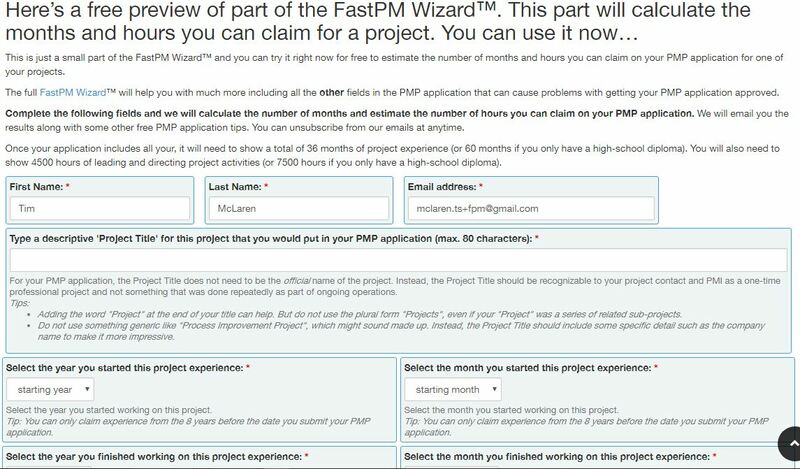 Here is a free working demo to show you part of the FastPM Wizard™. You can try it now for free to estimate the number of months and hours to claim on your PMP application for one of your projects. The full FastPM Wizard™ will help you with much more including all the other fields in the PMP application that can cause problems with getting your PMP application approved.